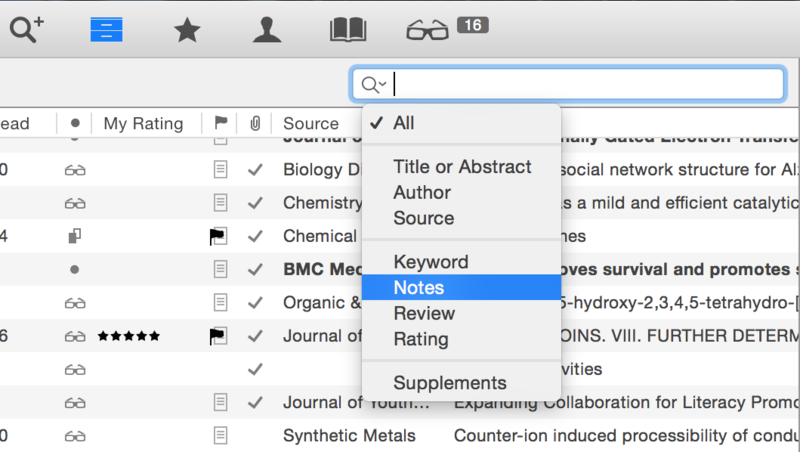 It is possible to search the contents of all your notes (and other fields) when in your Papers library view. Simply go to the search field in the top right of your library and select the dropdown menu. You can now chose what field you would like to search within. 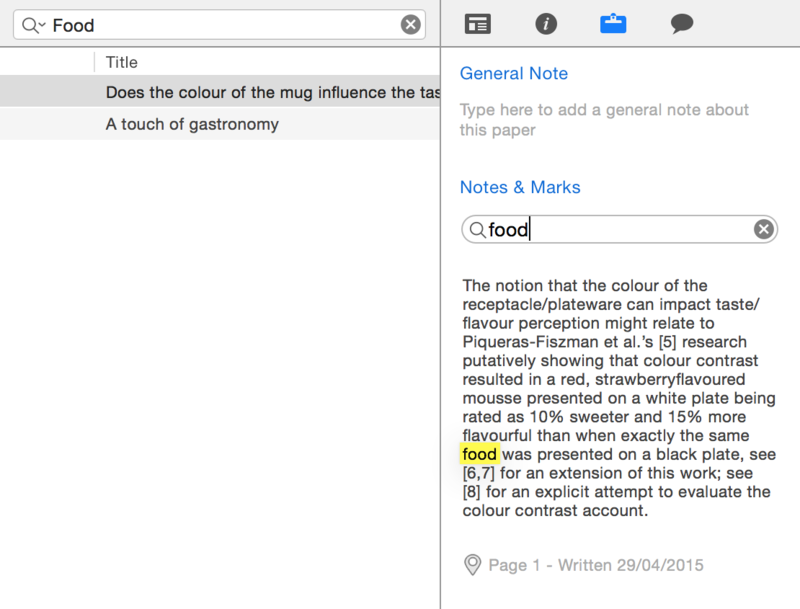 If, for example, you would like to search for particular text contained within your notes, select notes as the field. Type the word(s) you would like to search for and the documents that contain the word(s) in your notes will be filtered. To find where in the notes the word(s) are placed, go to the notes tab in the inspector window and start typing the word(s) you are looking for. As you can see, they will be highlighted in the text when you search for them.